What are the 2014 Roth IRA contribution limits? If you make a contribution for the 2014 tax year, you need to know. Otherwise, you risk unexpected taxes, penalties, or both. Remember, the contribution limits change on an annual basis, so if you're using the Internet for your research, make sure you're getting up to date information. How can you be sure you're getting up to date information? IRS Publication 590 is updated on an annual basis, so check the information you get against this government resource. But, if you're reluctant to wade through the bureaucratic language in an IRS document, then just come to this site where the 2014 Roth IRA limits are available in plain English. 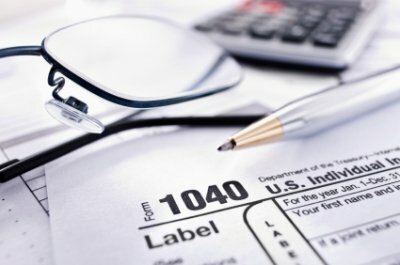 The figures listed below represent the most up-to-date information available, although IRS publication 590 may not reflect these changes until January 2014 or later. So let's look at how each of those aspects impacts your annual contribution limit. As a general rule, these are the maximum contribution limits. But keep in mind, there are always exceptions to the rule. Nevertheless, these aren't the maximum limits for everyone. Because your maximum 2014 Roth IRA contribution limit phases out as your income rises above the threshold for making the maximum contribution. Your ability to make a 2014 Roth IRA contribution (as well as the limit of that contribution) also depend on your income level as related to your tax filing status. If your earned income is somewhere between $181,001 and $191,000, your 2014 Roth IRA contribution limit phases out. For instance, if you're 46 years old with a combined income of $186,000, then your contribution limit is 50% of what it would be if you earned $181,000 or less. Because $186,000 is the midpoint between $181,000 and $191,000, and the 2014 Roth IRA contribution limit phases out on a percentage basis related to where your income falls within that range. So if your maximum contribution limit is $5,500 at $181,000 in earned income, it's $2,750 at $186,000 in earned income. Likewise, if your maximum limit is $6,500 at $181,000, then it's $3,250 at $186,000. If not, please see Roth IRA Phase Out for more information. If your earned income is somewhere between $114,001 and $129,000, your 2014 Roth IRA contribution limit phases out. The phase out provision is the same as for someone who is married and filing a joint tax return. Your contribution limit simply phases out on a percentage basis depending on where you income level falls within the $114,001 to $129,000 range. For more information, please see Roth IRA Phase Out. If your earned income is somewhere between $1 and $10,000, your 2014 Roth IRA contribution limit phases out. The phase out provision is the same for everyone, regardless of tax filing status. Under the phase out rules, your contribution limit phases out on a percentage basis depending on where you income level falls within the $1 to $10,000 range. Again, for more information, please see Roth IRA Phase Out. Did the Roth IRA Income Limits Disappear for 2014? Income limits on Roth IRA conversions did disappear in January 2010. It means you can NOT contribute to your Roth IRA in 2014 if your Modified Adjusted Gross Income (MAGI) exceeds the IRS limit for your tax filing status. So the idea that Roth IRA income limits disappeared in 2010 is technically false. The income limits on Roth IRA conversions did disappear in January 2010, and that means the Roth IRA income limits effectively disappeared. Why did they effectively disappear? Because contributions to your Traditional IRA are NOT subject to income limits. Whether or not your contributions are deductible is subject to a cap, but not the contributions themselves. Presto! You just funded your Roth IRA! Remember, the income limits on conversions disappeared in January 2010, and Congress has yet to bring them back. So making a non-deductible contribution to a Traditional IRA and following that with a conversion to a Roth IRA essentially serves the same purpose as making a Roth IRA contribution. Let's say you're single, 42 years old, and earn $251,500 per year. 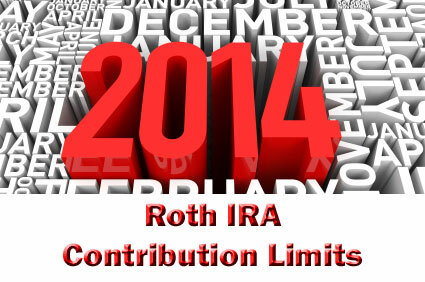 Due to IRS income restrictions on Roth IRA contributions, you're ineligible to contribute to your Roth IRA in 2014. Because the income limit for a single person is $129,000. If you earn more than $129,000 per year, you're ineligible to contribute to your Roth IRA. You're also ineligible to make tax deductible contributions to your Traditional IRA. However, you CAN make non-tax deductible contributions to your Traditional IRA. So you do exactly that, making a $5,500 non-deductible Traditional IRA contribution. Now, since there are no income limits on Roth IRA conversions in 2014, you're eligible to convert your Traditional IRA to a Roth IRA. Normally, a conversion triggers a tax liability on the original Traditional IRA contributions (assuming they were tax deductible when made), but since the contributions you made are non-deductible (just like Roth IRA contributions), you don't trigger a tax liability. Instead, you end up with $5,500 in your Roth IRA. Don't get overly confident. Proceed with caution. Because if this is the route you choose, you need to make sure you understand the Roth IRA conversion rules. Otherwise, you might trigger unexpected taxes or penalties. In fact, it's probably a good idea to consult a tax attorney or an accountant before doing this. Because the Roth IRA conversion rules are very specific. For instance, let's say you have two brokerage accounts, one funded with deductible IRA contributions and the other one funded with non-deductible IRA contributions. If you convert the non-deductible brokerage account to a Roth IRA, the IRS only treats a percentage of your conversion as non-deductible. Because the IRS views all of your IRA accounts as a single IRA. So when you convert the non-deductible brokerage account, the IRS views this as a conversion of a percentage of your Traditional IRA. And that percentage is based on the total value of the assets in all your accounts designated as a Traditional IRA. So if you have equal amounts of money in both accounts, and only convert the non-deductible account, the IRS treats only 50% of those funds as non-deductible. See why it's probably a good idea to seek professional advice? Taking advantage of 2014 Roth IRA conversions is relatively simple for someone who doesn't have existing Traditional IRA accounts, but for someone who does, it can be quite complicated. So don't be afraid to seek help if you need it. To find out how much you can contribute in 2014, compare your earned income to the allowable ranges for your given tax bracket. Also, despite the Internet rumors, Roth IRA contribution income limits remain in full effect for the 2014 tax year. What did change in 2010 is the income limit on making a Roth IRA conversion. Don't make the mistake of confusing the two. While the change in law effectively eliminates the income restrictions on making a Roth IRA contribution, if your income exceeds the Roth IRA limit, you can NOT directly fund your Roth IRA. Because you're still ineligible to contribute to your Roth IRA. What you can do is make a Traditional IRA contribution and then convert your Traditional IRA to a Roth IRA. Make sure you know the difference, or you might get an unwanted knock on the door from the IRS!